It has been only a week since I received notification that my Google Glass device was ready to be picked up, but it feels much longer. Over the next several months, I intend to use Glass to transform the way I approach my teaching at Virginia Tech (VT). I also plan to study the process of teaching with Glass in an effort to document what worked and what didn’t. In this post, I thought I’d try to capture my past week and provide some insight into the rapid learning curve I’m climbing. After being accepted into the Glass Explorer program in March, I realized that I lacked the personal funds to indulge in such a device ($1,500 + tax) and began searching for research funds. I was fortunate to receive encouragement from the VT Center for Innovation in Learning (CIL) to develop a proposal that captured my desire to augment or perhaps fundamentally transform – I think the difference is a matter of perspective – the way I teach. My proposal was accepted by CIL and I was awarded a research grant to purchase Glass, travel to collect the device, and purchase a smart phone and data plan to which the device will be tethered. 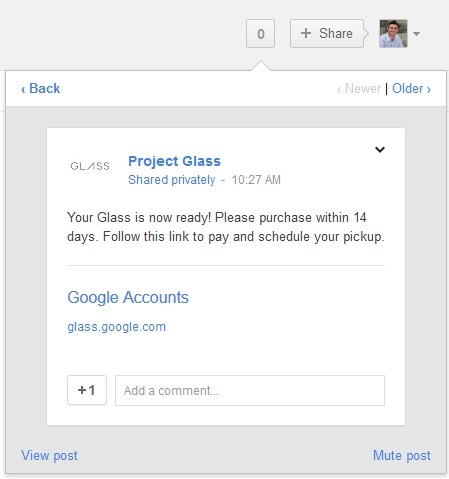 With only a two-week window to purchase Glass (after receiving the Google notification), I needed to move quickly. One immediate challenge was how to make the purchase without a research project/fund officially in place. A related logistical problem was the rate at which the available appointments to collect the Glass device in Los Angeles, San Francisco, and New York were being taken. It was not possible to make an appointment without making a purchase. Creating a research fund is no quick task – especially at the end of the academic fiscal year. 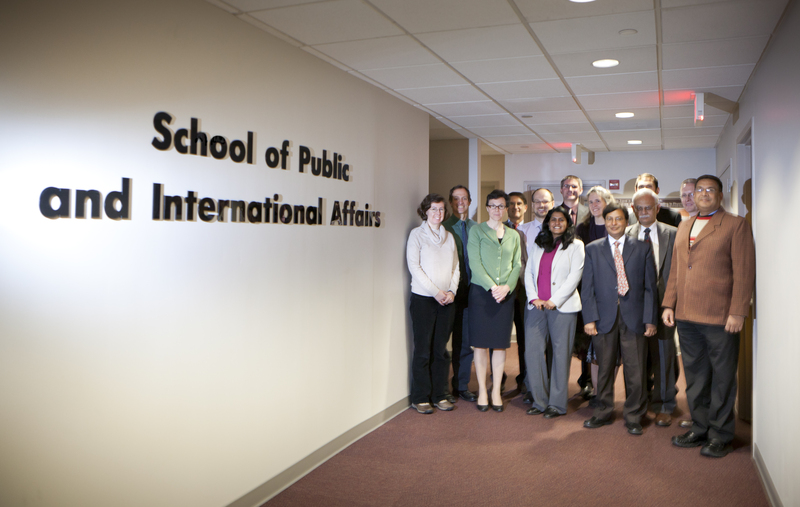 Fortunately, we have a great team of professional staff within the School of Public and International Affairs (SPIA) who were able to help me quickly navigate and obtain the necessary approvals to start spending funds while the research account is established over the next couple of weeks. The purchase of my flight to New York presented another hurdle. Faculty at VT are required to obtain approval before making any travel arrangements, which meant another form that needed to be completed and processed. I mention the above to provide some insight into what was an intense couple of days that consisted of numerous emails and phone calls. These activities were also complicated by the need to set up a smart phone in time for my appointment on Friday, June 28. What I first considered to be a simple task turned out to be quite complex from an administrative and technological perspective. To obtain a cell phone at VT, an Interdepartmental Communication Request (ICR) needs to be made by an authorized individual. Since the location of my research budget was somewhat in flux at this time, this task led to an extensive series of communications that were complicated by my ongoing research (informed by several Google+ communities related to Glass) into what smart phone and data plan I should obtain. In the end, I settled on a Droid Razr Maxx HD smart phone with a calling plan + unlimited data from Verizon. One reason for selecting a Droid smart phone was its compatibility with Google software and the “MyGlass” App that enables Glass Explorers to fully utilize the functionality of the device. As mentioned above, there are numerous communities on Google+ that are dedicated to the Glass device. So far these forums have contained information that has answered all of my Glass-related questions. I have also found numerous individuals who have similar ambitions to use Glass in an educational setting (most of whom are members of the “Google Glass in Education” community) and I’m now following their activities. Another task accomplished this past week was to obtain approval from VT’s Institutional Review Board (IRB) to begin the research project using Glass. While I could have waited to obtain this approval until after I collected the device, I wanted to be able to begin my research project as soon as I receive my Glass. In fact, I’m hoping to record a conversation with the Google employee I meet with to ask him/her a few questions related to which technology platform I should use to support my seminar this fall. To obtain IRB approval I completed a 14-page research protocol that outlines in detail how I plan to use the Glass device and whether this poses any risk to those involved with the project. Given the emergent nature of this research, this was a challenging document to prepare and I suspect I will need to revise my research protocol as I begin to understand how the technology can really be used in practice. Since the current version of Glass does not support prescription lenses, and I wear glasses, I decided to see if I could wear contact lenses. I have been wearing a pair of contacts for the past few days and so far I’ve noticed a decline in my vision due to astigmatism in both eyes. Thus, I’m not sure if I will be able to make this transition (which is not covered by my research funds) and may have to wear Glass on top of my prescription glasses. I will provide an update on this situation next week. With most of the tasks related to establishing this project either completed or in process, my attention can now focus on the research itself. I have refrained from explaining my proposed research project in this post since I plan to let the research speak for itself when it begins. I hope this teaser brings you back to my website over the coming months to learn more about what we hope to do at VT with Google Glass. The following images, in chronological order, document my purchase of a Google Glass device. I have covered up one or two personal details, so not everything is shown. Google has developed what I considered to be an elegant and simple purchasing system. I hope this experience continues once I receive the device. For those of you waiting to receive notification about when you can purchase your Google Glasses, it should look something like this if you applied for the Glass Explorer program through Google+. Once I have the device up and running in the next month or so, I will start sharing my experience with using the technology to transform the way I teach my seminar on sustainable development. Watch this space! This post was inspired by Marshall McLuhan’s 1964 article entitled “The Medium is the Message.” The question I pondered when preparing this post is how different mediums might convey different messages. Click on the image to see the same “content” in a different medium. In the words of McLuhan, “the “content” of any medium is always another medium.” The depths of this concept seem endless. 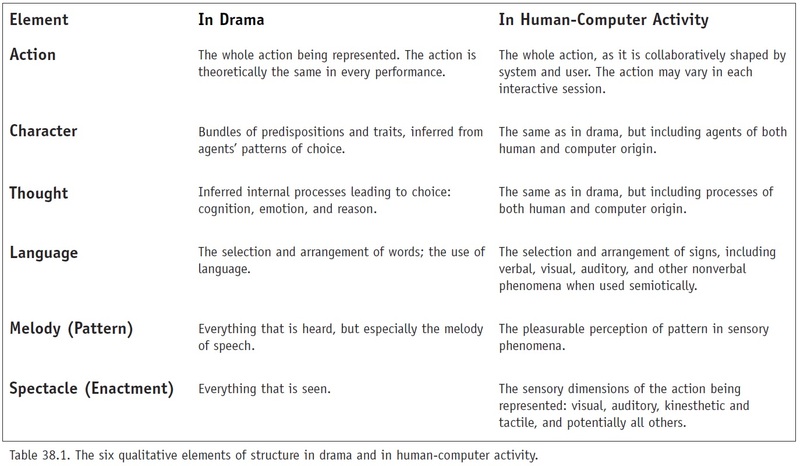 The assigned reading for today’s New Media Seminar is entitled “Personal Dynamic Media,” written by Alan Kay and Adele Goldberg in 1977 (two years after I was born). In this article, Kay and Goldberg look to the future and describe with remarkable accuracy the various components and capabilities of the modern day personal computer, including several ideas that have yet to be fully realized. After reading the article, I visited the Innovation Space at VT to find a quiet place to write this entry (only to find it was buzzing with activity in a good way) and to see if I could be inspired to think about what “future” new media might look like. It’s always surprising how a new environment can provide inspiration. In parallel with this week’s seminar, I am hosting several colleagues from IITK, who are visiting VT for the second meeting of the IITK-VT partnership. A primary objective of our week-long meeting is to identify transformative research opportunities around the notion of sustainable infrastructure systems. As I think in the Innovation Space, the worlds of the New Media Seminar and the IITK-VT partnership begin to collide. One question that emerges is what would a future technology platform look like that enables the design of sustainable infrastructure services in the US and India? What would be transformative about this platform from a technological and social perspective? I’m also left wondering how communities (including children) could be enabled by the technology platform rather than excluded from the learning process. I have several ideas about how to address these questions, but they need a little more finessing before being discussed here.